At the end of the day, it is your overall regime that matters not just a day or two or even maybe a week :p so don’t stress about it and do enjoy because the benefits of laughing, fun and friends/family time, will far outweigh “damage” I promise you 😉 Balance and moderation sure, but if you have a goal, some sacrifices you just choose to make and that’s ok too! 2. Tell them you are gluten intolerant/have gluten allergies so you would just like salad, various veggies and some unbreaded meat with any sauces just on the side to be safe. Always get sauces on the side so you can control the portion ie. 1-2 tbsp. and ideally avoid creamy sauces. I am not pushing the whole glute-free thing it is just easier to get less overall calories in this way. 4. Soups and salads are great starters as they fill you up so you eat a bit less at dinner. Avoid creamy soups and sauces. 5. If at a “burger joint”, just ask for the burger on a lettuce bun (many places do this) or just ask for it without a bun and with a salad/veggies. 6. Don’t order caloric drinks. Have spa water or water with lemon or Perrier, teas, coffee but juices and such are just sugar in a glass that you don’t need and other drinks are just empty calories. 7. Ask how the food is prepared and again you can just say it is due to allergies or just a taste aversion/dislike. If it is prepared in heavy oil and salt just ask them for a lighter option by using words like those above. 8. For meats look for salmon, skinless chicken breast, turkey, flank steak or filet mignon. 10. If you are ravenous going in to the place, order an appetizer like a plate of grilled veggies or a chef salad (if you can get a little bit of protein and fat added to it like a hard boiled egg or small piece of chicken with a tsp of vinaigrette awesome!) to help subdue your hunger before you meal comes and your hunger hormones really tell you to devour your meal and than some. 2. Alcohol is basically 7 calories of emptiness and can negatively affect your muscle building, strength, fat loss and performance long term for many reasons. Just know that and also know that moderation in life is key so don’t stress too much about it but keep the above in mind and don’t get discouraged or down on yourself if you feel heavier, slower. Fat loss, muscle building, any of this all, is a life long thing so one weekend or even two out of a month, is not going to permanently destroy your goals. Just keep your eating in check and stay on top of your workouts. It is also a good idea if you know you are going to be drinking, to be more mindful on the surrounding days of keeping your carb intake to maybe 1 fistful of starch/fruit in the am or pre-workout. 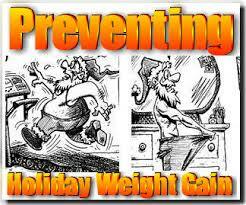 This may help to minimize your overall caloric intake without having to think about it. Focus on protein, veggies and a bit of healthy fats the rest of the time. 4. Have only one drink per hour, for every drink you have have some water, and be sure to eat before going out not only to help decrease your chances of drunken stupordom, but also to help you from being ridiculously hungry and doing what just about everyone does after a night of drinking, eat a bunch of high fat, high sugar, high calorie foods. Even better is to stick a snack like a bar in your purse/jacket pocket (or fannypack, hey I don’t judge ;D ) to help manage your hunger for better decision making until you get home and can eat something better suited for your goals. 5. Sleep! The combination of alcohol and no sleep from a late night will whack out your hormones and will make you want to binge or just make poor decisions. Don’t over plan so you can chill out. You are on holidays so take advantage and catch up on sleep.